Lakewood patients ask, what is holistic dentistry? Dr. Scott Stewart and the team of South Lakewood Dental encourage patients to think about the connection between their smile and their body. Studies have shown there is an oral systemic connection—that the health of the mouth is an indicator of the health of the rest of the body. This oral systemic connection can have a positive or negative effect on a patient as a whole. One way for patients to take better care of themselves is to ensure that they visit a dental practice regularly that provides holistic dentistry. 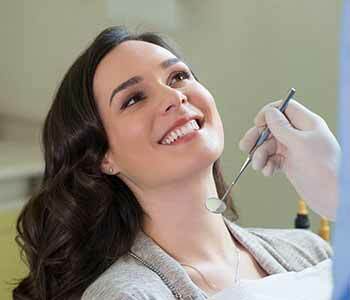 Holistic dentistry is a form of dentistry that focuses on providing safe, effective methods of treating the smile while keeping in mind the effect it has on the rest of the body. Bacteria that are found in the mouth can carry through the bloodstream and to other organs increasing one’s risk for a myriad of medical concerns including diabetes, strokes, and even heart diseases. This oral systemic connection has consequences that many patients overlook when deciding whether to see their dentist for routine treatments. Another concern is the use of silver amalgam fillings. Silver amalgam fillings are comprised of 50 percent mercury. Mercury, when heated, can release a toxin that is unsafe for the body. It can result in neurological conditions and has a connection to many different issues including early delivery by pregnant women and even kidney issues. This toxic material should be avoided, and Dr. Scott Stewart is a strong believer in composite resin fillings instead of silver amalgam for this exact reason. He follows the protocols set forth by the International Academy of Oral Medicine and Toxicology (IAOMT) when it comes to removing silver amalgam fillings from the smile to ensure the health and wellness of all involved, including patient and staff. Dr. Scott Stewart encourages patients to learn more about holistic dentistry and discover how it can dramatically affect their health and wellness. The team of South Lakewood Dental is here to assist new and existing patients with their dental health care needs in a caring and conservative manner with the most appropriate and safe materials possible. Home » Lakewood patients ask, what is holistic dentistry?